Description For viewing: 0182171476 call/sms/whatapps/w. 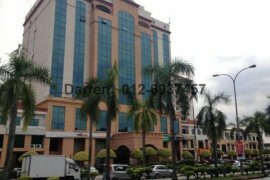 Property Description 4 Adjoining shop office for sale..
Property Description Kemensah Heights has all kind of f.
Johor Bahru - Pelangi 3 Sty Link Shop (2 units). Kota Puteri 1.5S Semi D Factory For Sell. Austin Perdana 3S Corner Shop. Property Description Call = Alvin 012-3299232 Email = a.
Indah Walk 3 Lifestyle Office for Rent. ALAM JAYA BUSINESS PARK (Semi-D& Detached Factory), Nusajaya Johor. Boutique Luxury Hotel Langkawi Pantai Cenang For Sale. For Sale! Two unit Linkage 3 Storeys shoplots at Jitra city. Property Description BANDAR UTAMA , BU1 2 storey terrac. Property Description Bandar Utama Petaling Jaya, Selang. Property Description (Below Bank Value) Shop-office for. Property Description Property: Double Storey SemiD Bung. Property Description FREEHOLD Three (3) Story Bungalow. KEMPAS UTAMA INDUSTRIAL PARK JOHOR BAHRU BIG SEMI D FACTORY (CORNER UNIT) FOR SALE,. KULAI-KAWASAN PERINDUSTRIAN INDAHPURA- URGENT SALE/RENT. CI Medini ION 3, Medini, Nusajaya. Hello, Please contact me, I am interested in commercial property for Sale in Malaysia. Best Regards.